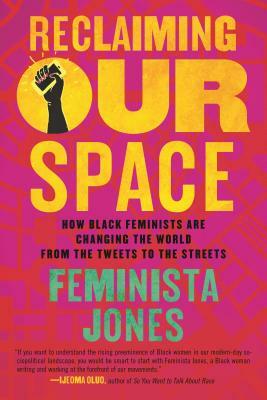 In Reclaiming Our Space, social worker, activist, and cultural commentator Feminista Jones explores how Black women are changing culture, society, and the landscape of feminism by building digital communities and using social media as powerful platforms. As Jones reveals, some of the best-loved devices of our shared social media language are a result of Black women’s innovations, from well-known movement-building hashtags (#BlackLivesMatter, #SayHerName, and #BlackGirlMagic) to the now ubiquitous use of threaded tweets as a marketing and storytelling tool. For some, these online dialogues provide an introduction to the work of Black feminist icons like Angela Davis, Barbara Smith, bell hooks, and the women of the Combahee River Collective. For others, this discourse provides a platform for continuing their feminist activism and scholarship in a new, interactive way. Complex conversations around race, class, and gender that have been happening behind the closed doors of academia for decades are now becoming part of the wider cultural vernacular—one pithy tweet at a time. With these important online conversations, not only are Black women influencing popular culture and creating sociopolitical movements; they are also galvanizing a new generation to learn and engage in Black feminist thought and theory, and inspiring change in communities around them. Hard-hitting, intelligent, incisive, yet bursting with humor and pop-culture savvy, Reclaiming Our Space is a survey of Black feminism’s past, present, and future, and it explains why intersectional movement building will save us all. Feminista Jones is a Philadelphia-based social worker, feminist writer, public speaker, and community activist. She is an award-winning blogger and the author of the novel Push the Button and the poetry collection The Secret of Sugar Water. She was named one of the 100 Most Influential People in Philadelphia and one of the Top 100 Black Social Influencers by The Root. Her writing has been featured in the New York Times, Washington Post, and Time, Essence, and Ebony magazines.